Speech processing addresses various scientific and technological areas. It includes speech analysis and variable rate coding, in order to store or transmit speech. It also covers speech synthesis, especially from text, speech recognition, including speaker and language identification, and spoken language understanding. 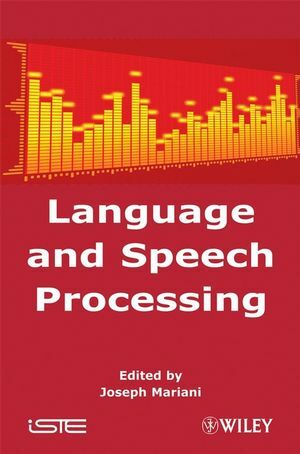 This book covers the following topics: how to realize speech production and perception systems, how to synthesize and understand speech using state-of-the-art methods in signal processing, pattern recognition, stochastic modelling computational linguistics and human factor studies. Joseph Mariani’s research activities relate to language technology, multimodal human-machine communication, speech recognition, spoken language resources and evaluation. He was president of the European Language Resources Association (ELRA), president of the European (now International) Speech Communication Association (ISCA), a member of the board of the European Network on Language and Speech (ELSNET) and the coordinator of the AUF FRANCIL Network. He was the director of the LIMSI CNRS laboratory from 1989 to 2001, and the head of its “Human-Machine Communication” department. He is since 2001 director of the “Information and Communication Technologies” department at the French Ministry of Research.